Smoking, obesity and inactivity red-flag health issues for Marion County residents. 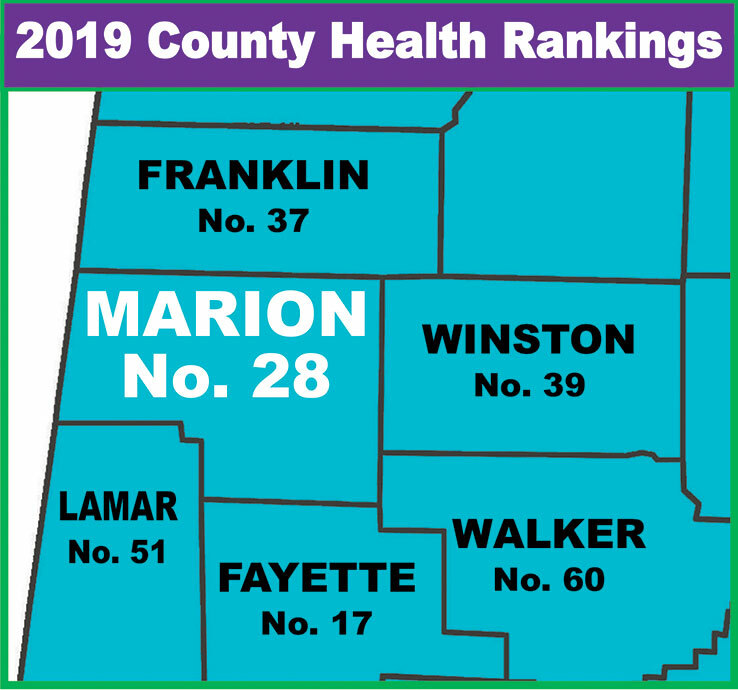 In a recent report, Marion County ranked No. 28 out of Alabama’s 67 counties when considering health behaviors, local clinical care, socio-economical factors and environment. The national county findings were released on Monday, March 18, and are a part of a nationwide report from the Robert Wood Johnson Foundation and the University of Wisconsin’s Population Health Institute.